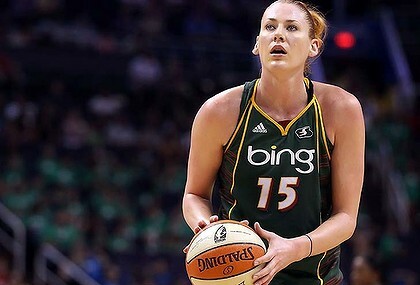 Seattle Storm centre Lauren Jackson will undergo left hip surgery on Thursday and miss two to three months, but the Australian star hopes to return in time for the Women’s NBA playoffs. Doctor Marc J. Philippon will perform the operation to repair the labrum in Jackson’s left hip at Vail, Colorado on Thursday morning. The three-time WNBA Most Valuable Player was injured last week in a victory over the Tulsa Shock. “This is a really, really tough decision, but after talking with my doctors and my family, we felt that immediate surgery is the best course of action,” Jackson said. “With something painful like this hip injury, I want to be especially proactive. I plan to stay in Seattle to be here with my team and try my best to be back on the court as soon as possible. The Storm end their regular season with a September 11 home game against the Chicago Sky, some 10 and a half weeks after Jackson’s surgery. “Lauren informed me of her decision to have surgery yesterday and I offered her our full support,” Storm coach Brian Agler said. To help with the challenge, the Storm will add Poland’s Ewwlina Kobryn, who was cut by New York last month. She played for her homeland in the EuroBasket event this month in Poland. Kobryn’s stay with the Storm might be long term. Jackson has already said she plans to skip the start of next season for the Storm to train with the Opals, Australia’s women’s national team, ahead of the 2012 London Olympics. The Australians have lost each of the past three Olympic finals to the United States. The Storm visited the White House on Wednesday where they met with US President Barack Obama and were honoured for last year’s WNBA championship.